FREAKWORKS is an award-winning Post Production company creating moving image content for any purpose and in all formats for clients throughout Scotland, the UK and Internationally. 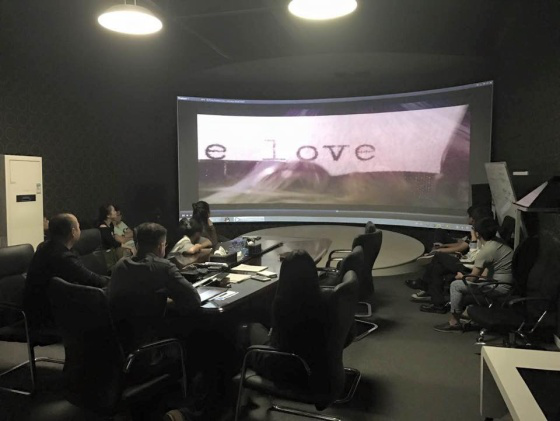 Earlier before Edinburgh-Shenzhen Creative Exchange (ESCE) opens in 2015, Freakworks has already been commissioned by one of China’s best-selling mineral water company Ganten to produce Gaten’s first and second commercials. 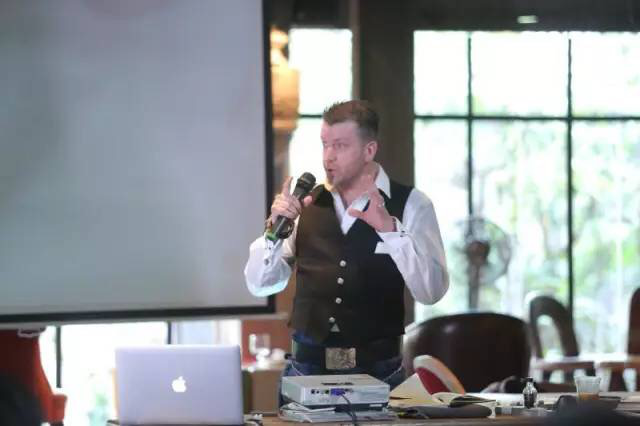 In May 2016, the CEO of Freakworks Hamish Allison came to Shenzhen as one of the five winners out of Create in Shenzhen Competition held by ESCE. The prize included six night’s accommodation and an event to promote their service/product respectively in Shenzhen. 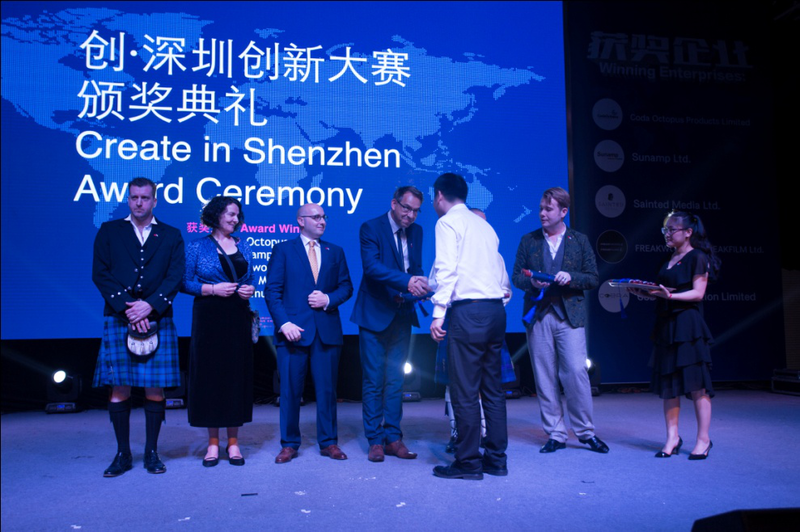 The event has attracted about 40 CEOs and directors of Filmmaking creative industries and companies in Shenzhen that potentially seek for high-end commercial production. The event was held in a cafe located in the centre of OCT-LOFT, the most well-known creative zone in Shenzhen. The Scottish element of the event have also attracted interest of the locals. Beside this, ESCE has also connected Hamish with a few other commercial production companies in F518. 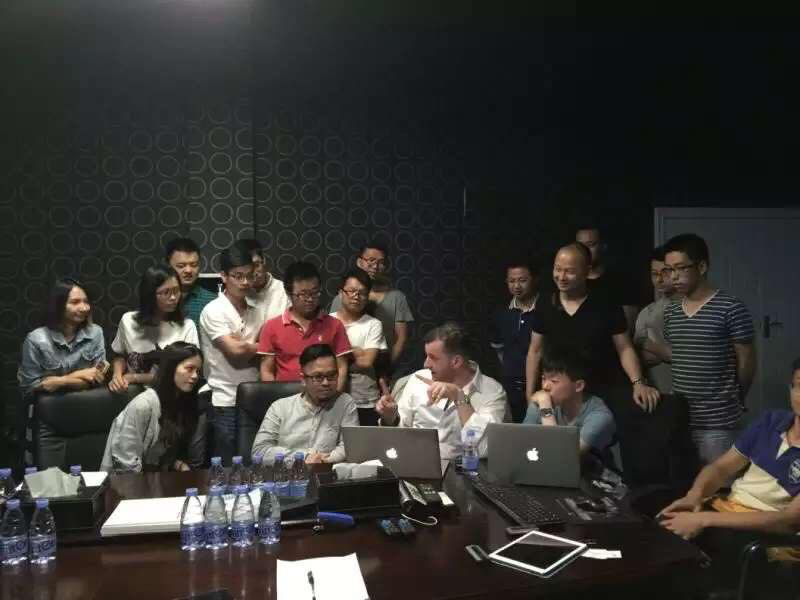 Among them, Hamish and Guo Jun of Allspark, a company specialized in CGI content production, were interested in establishing collaboration relationship after getting to know each other’s expertise. 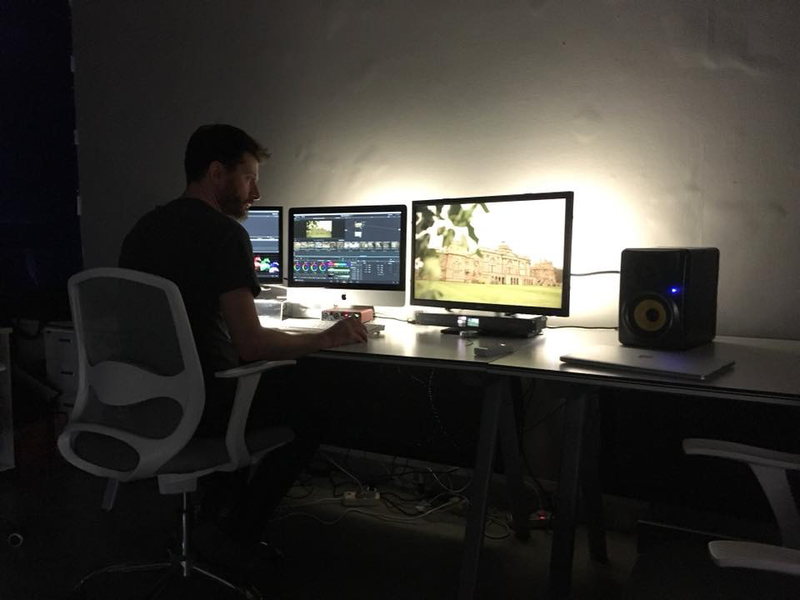 Meanwhile, SDI has also helped connect Freakworks with Hesper, one of the top companies in commercial production and editing in Shenzhen. 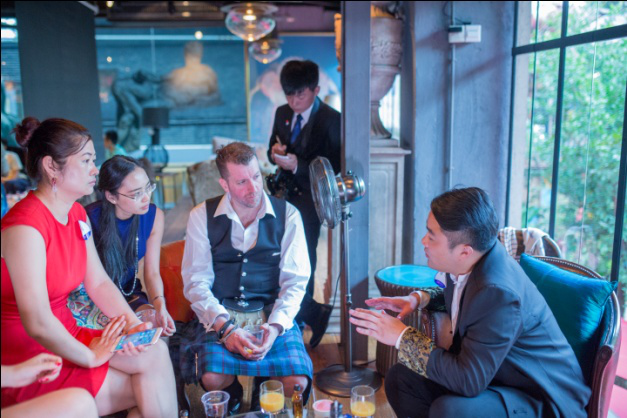 In February 2017, Hamish made another independent trip to Shenzhen for the meeting with Ganten Water to discuss the details of their next commercial. ESCE helped interpret for the meeting. 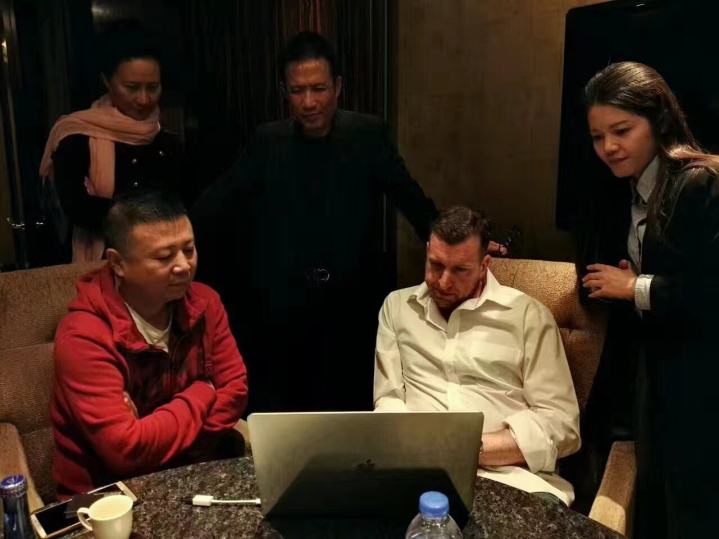 At the same time Hamish was introduced to another Shenzhen’s top commercial production company Dragon who was interested in potential partnership with Freakworks. Again, Hamish initially asked to be arranged a meeting with Allspark in F518. In this meeting the two companies have confirmed mutual intention of establishing the collaboration relationship and the collaboration agreement were signed in a few months following the meeting. In Mid-November, Hamish and Florian Viale Senior Editor of Freakworks came to Shenzhen again and used the ESCE co-working space’s meeting room as their temporary post-editing room. This room has a special requirement that it needed to be all dark and equipped with special screens setup. A video-making startup team led by Eric Yang was assigned by Freakworks to help with setting up this room in advance of Freakworks’ arrival. 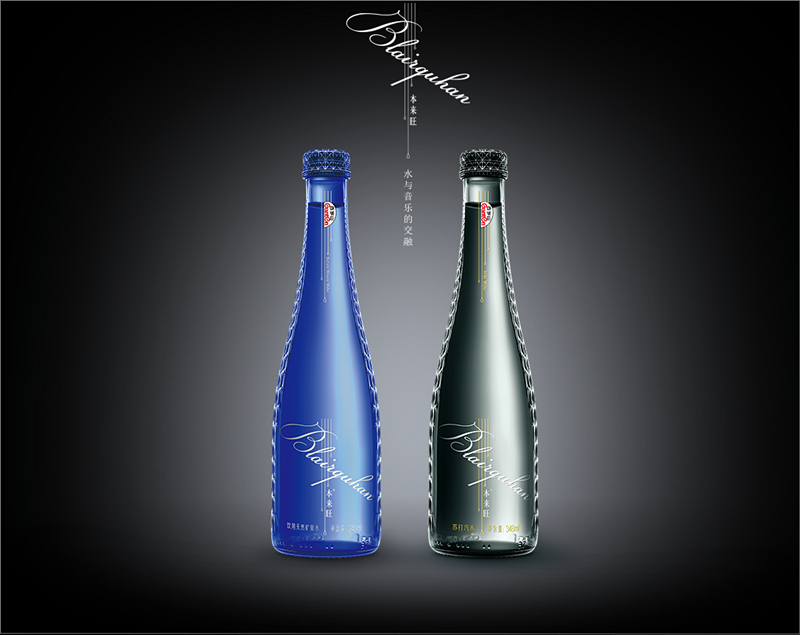 Within a few day’s working with the client face to face in the dark room, Freakworks finished editing the 4th commercial for the Ganten Water. “It’s much more efficient doing this way than distantly communicating for months on the project”, commented Hamish. 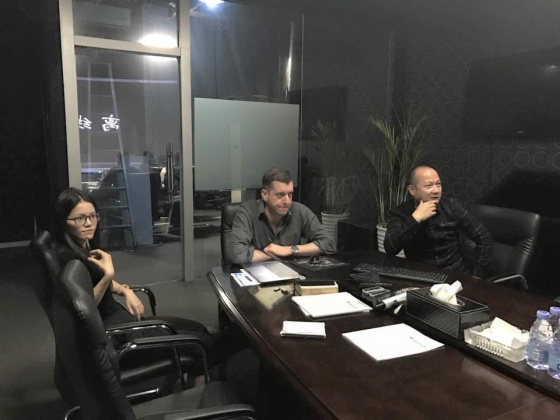 After this trip, Eric Yang is also appointed by Freakworks as their Business Development Manager in China and help market Freakworks’ services in China.